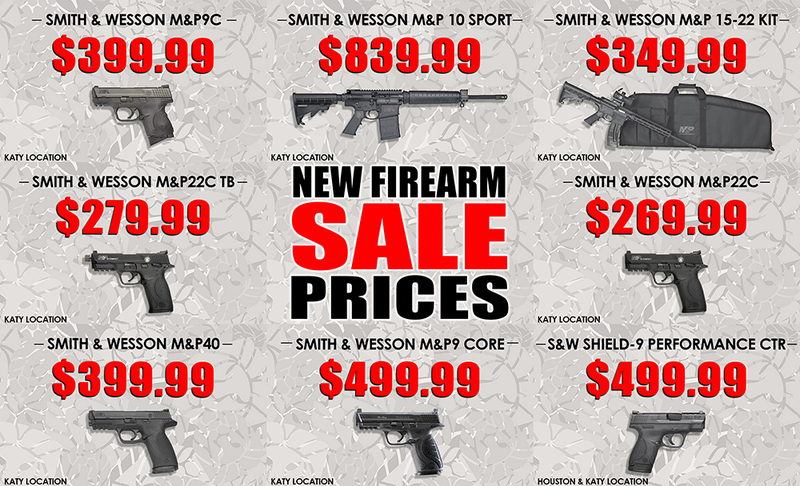 OUR BLACK FRIDAY SALE CAN'T BE BEAT! 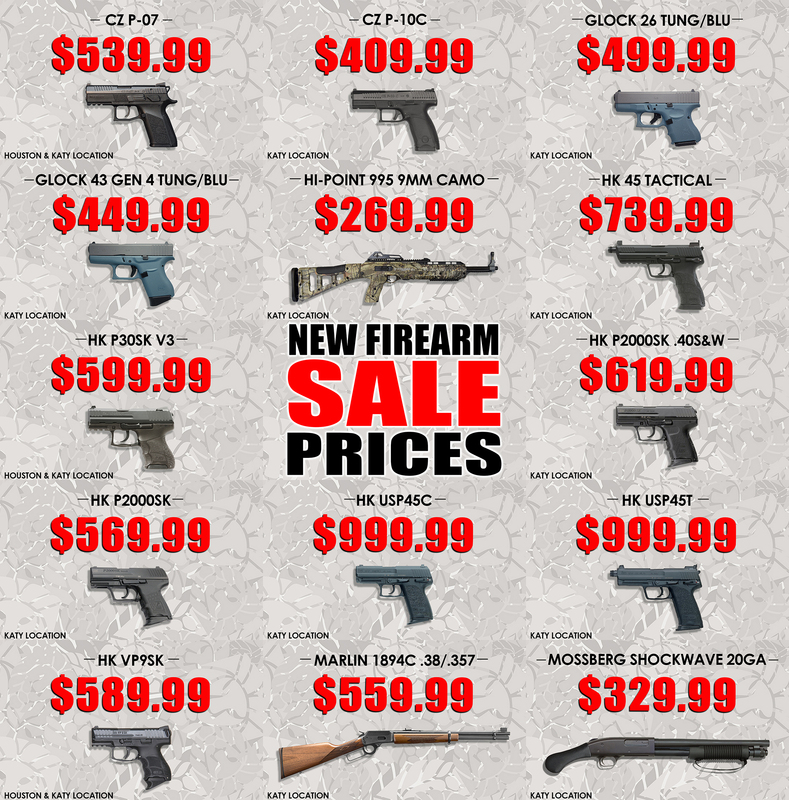 This is the sale that you've all been waiting for! 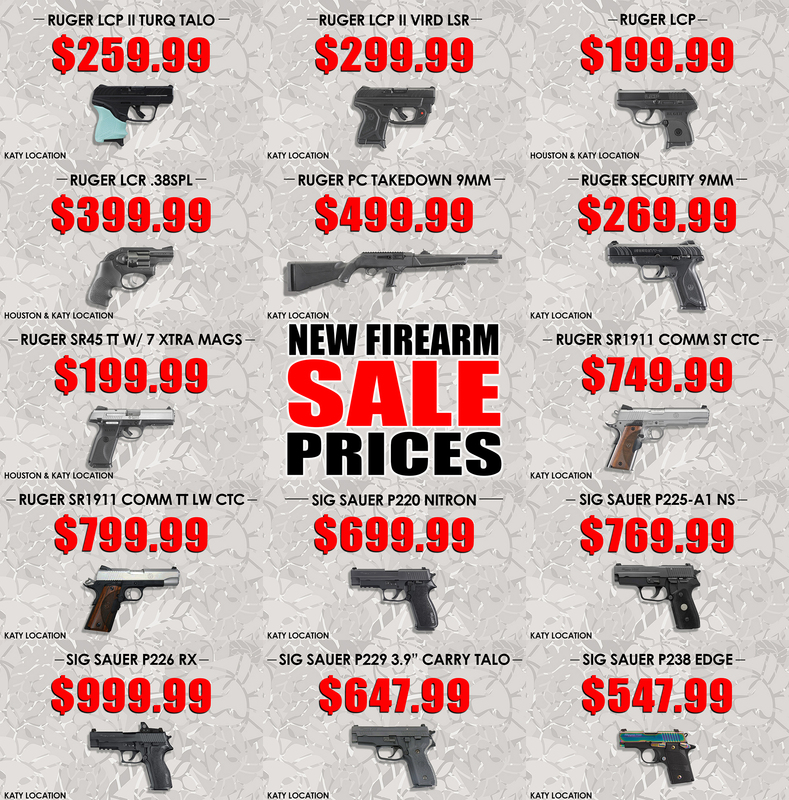 We're talking guns, knives, accessories, safes, and much more discounted at prices you won't believe! 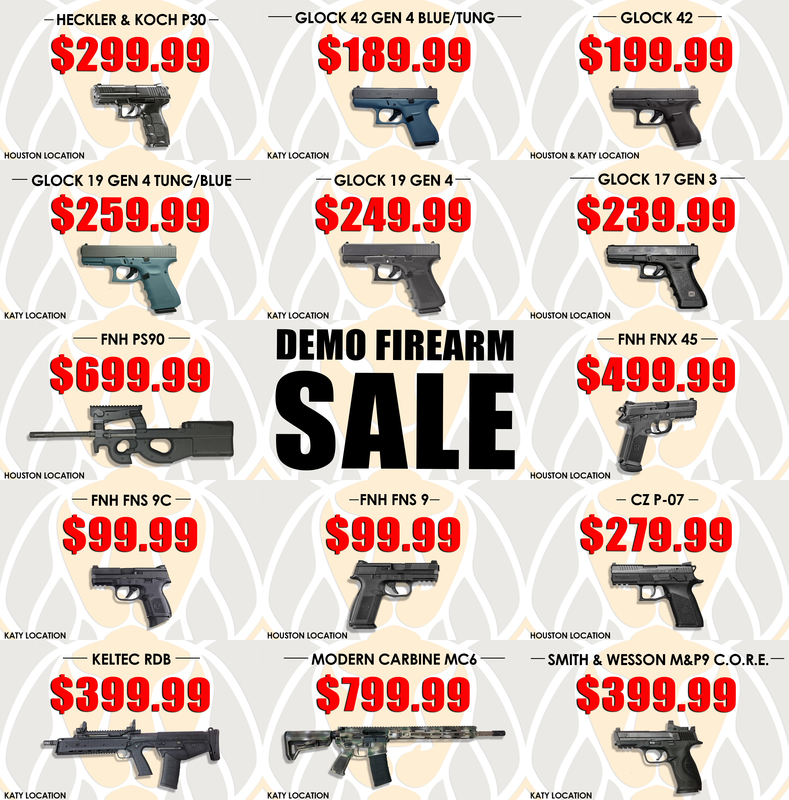 We'll even be recycling a wide variety of our demo firearms so you'll be seeing gun prices as low as $99.99! 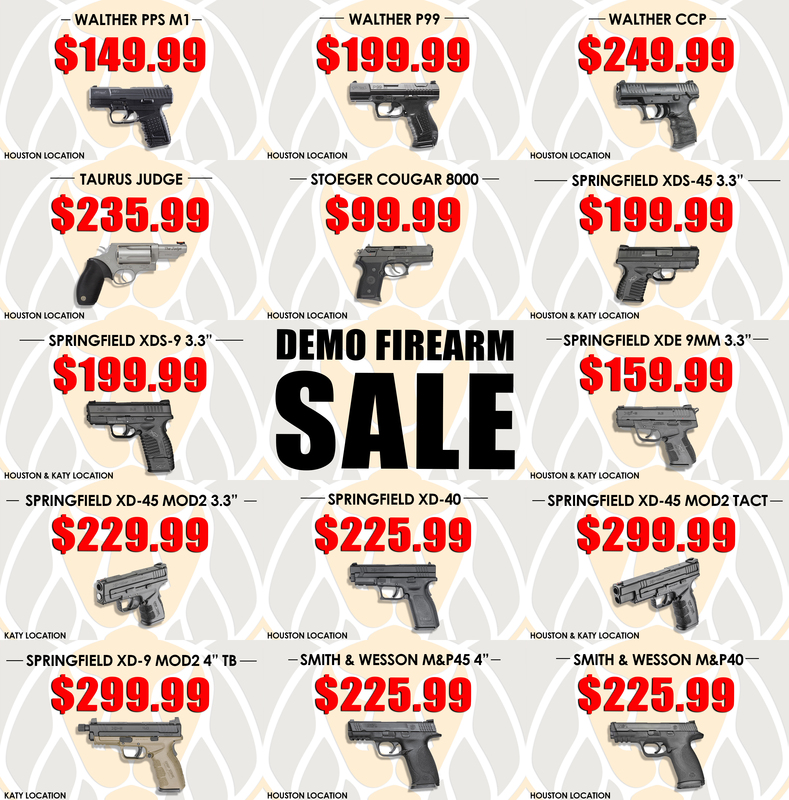 Boyert Members will have a 2-demo gun purchase limit and non-members will have a 1-demo gun purchase limit. 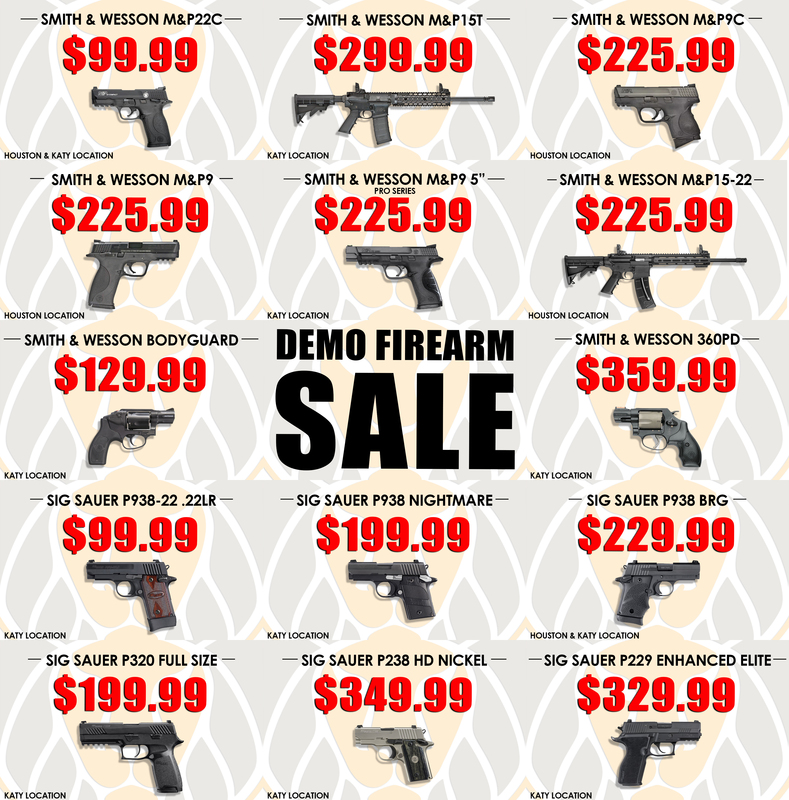 If you sign up to be a member (one month minimum) prior to the Black Friday Sale, your demo gun purchase limit will increase from 1 to 2. 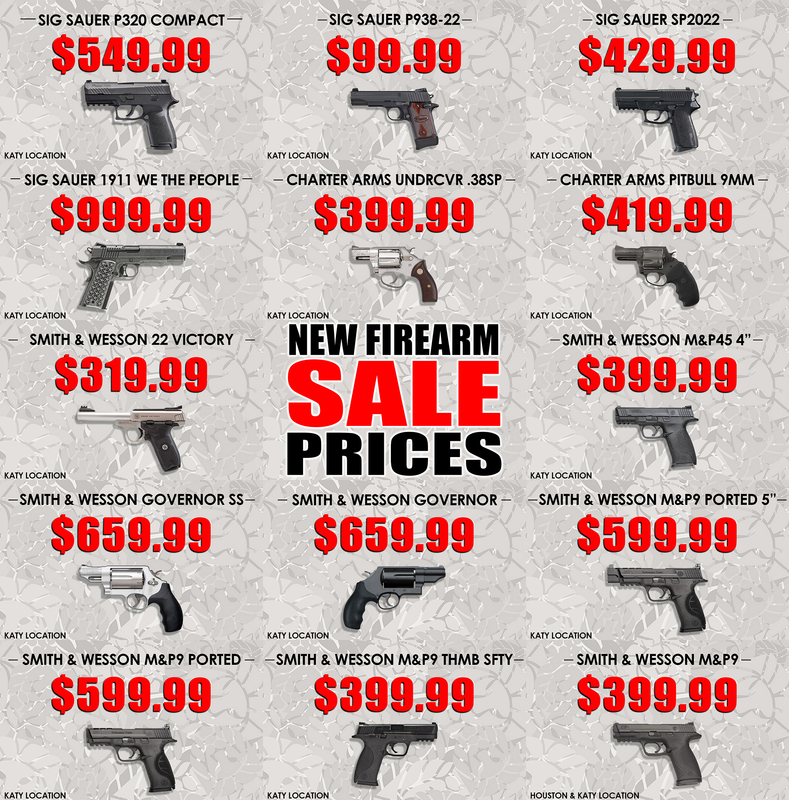 If you do plan on signing up as a Member, we will have an amazing promotion going on during the Black Friday event. Those who sign up for a full year Classic or Guardian membership will have their INITIATION FEE WAIVED and receive a FREE DPMS ORACLE (while supplies last) or 2 ADDITIONAL FREE MONTHS! Even if you sign up for a month-to-month membership, we'll still waive your initiation fee! 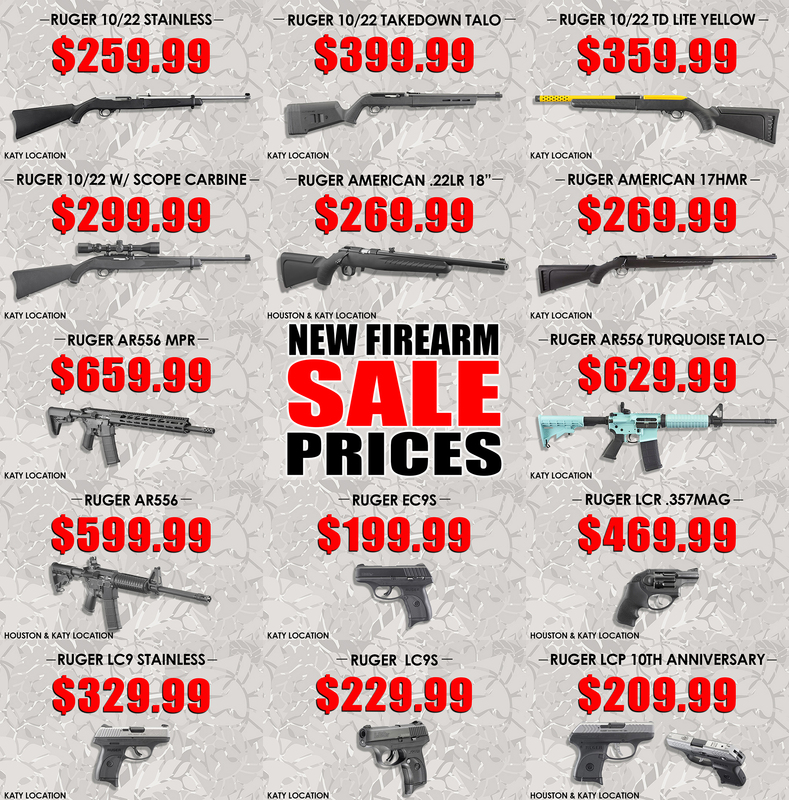 The prices you see above are for Members and Non-Members. 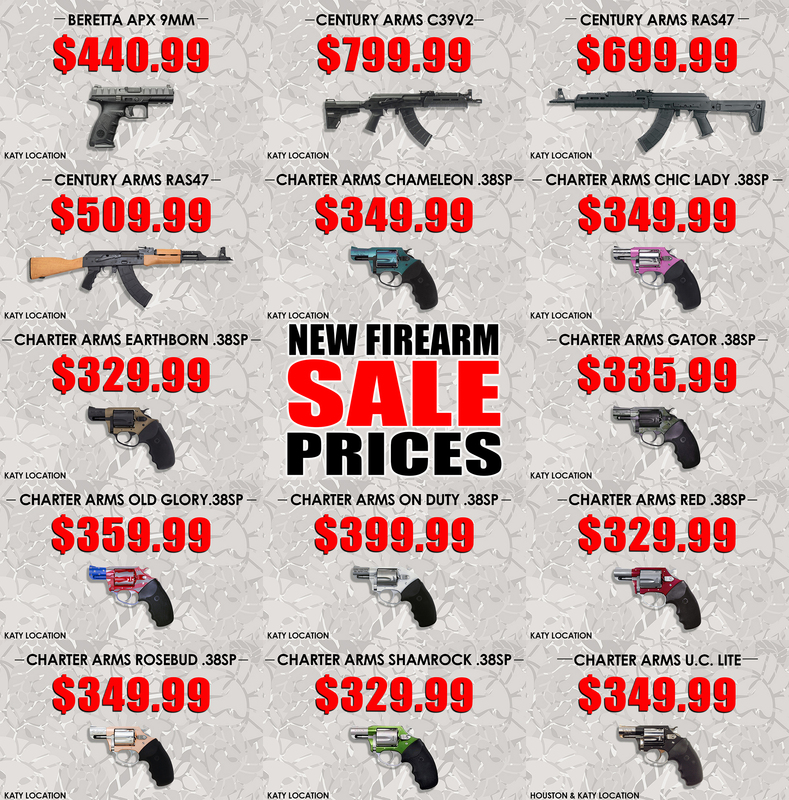 We'll be giving away TWO FREE FIREARMS during our Black Friday Weekend! The first is the Springfield Saint and the second is the Springfield XDE-9! 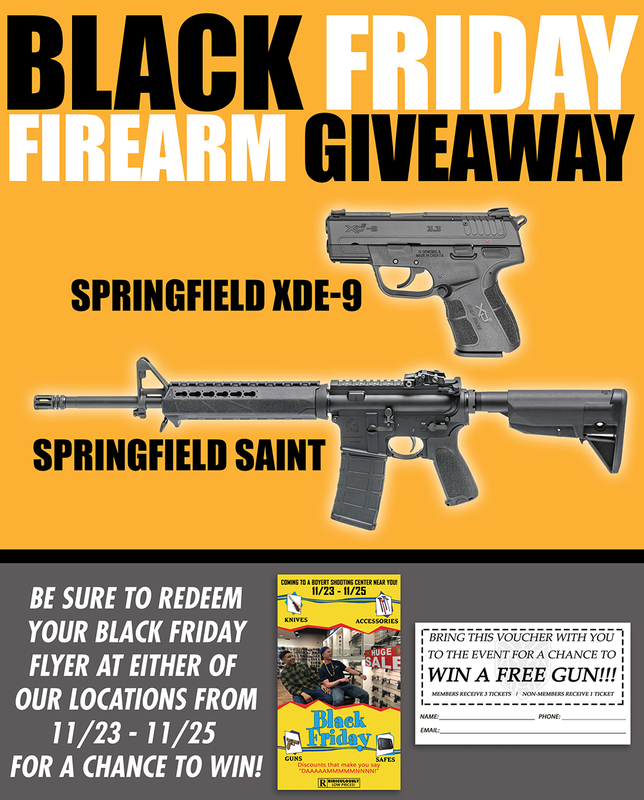 Make sure to redeem your Black Friday flyer between 11/23 - 11/25 for a chance to win one of our firearm giveaways! All December LTC classes will only be $50 for anyone who signs up during the Black Friday event! 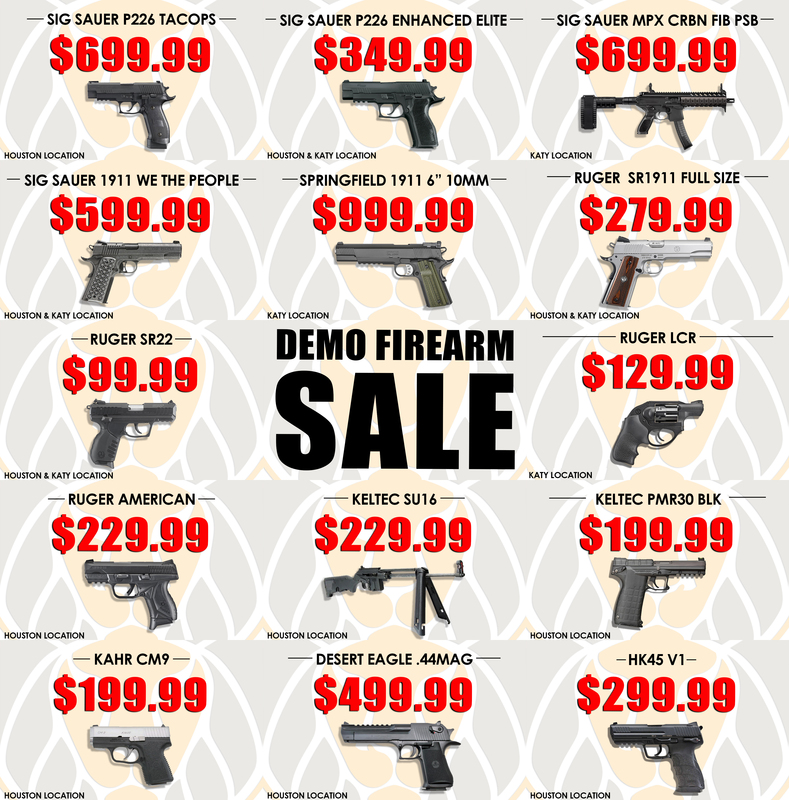 We hope to see you all out for the greatest Black Friday Sale in Houston & Katy!